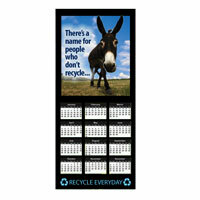 Calendars are a great way to get your environmental message across. 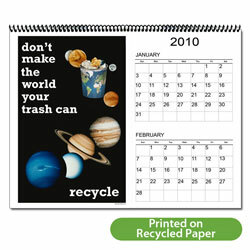 They are inexpensive and give you value for a whole year. 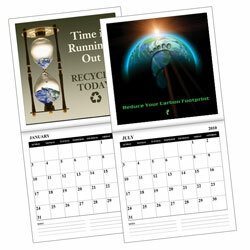 We have a wonderful selection of calendars and each can be totally customized in low quantities to meet your needs. 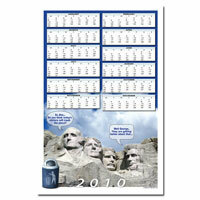 We have wall and planner calendars from one page, 6 pages to 12 pages. 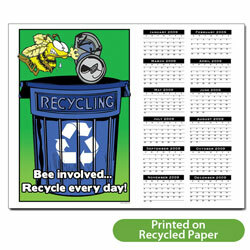 Don't miss this inexpensive and effective way to help brand your organization with a green message. 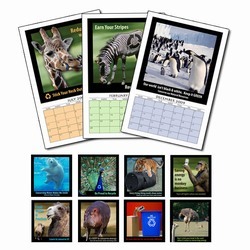 All of these designs can be customized with your logo, message or custom images. 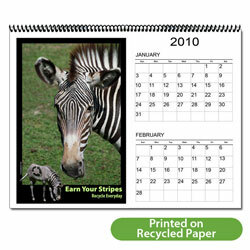 Now is the time to order 2010 Calendars! 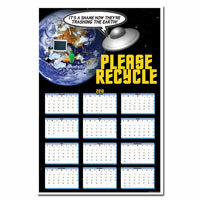 AI-RC-1 Recycling 6 Page, 12 Month Calendar - 11" x 8-1/2" AI-RC-2 Recycling 1 page 2011 Calendar - 11" x 8-1/2" AI-RCMAG-1 - Recycle Calendar Magnet 4" x 9"